Joel Van Dijk has the funk in his veins. His style tutorial on Funk will teach you the ins and outs on the genre, and he does a great lesson on Cisco Kid. He also makes an appearance in the Rock Level 2 course, presenting lessons on hammer-ons and pull-offs, and finger exercises for dexterity. Check it out! In this series of lessons, Joel Van Dijk will teach "The Cisco Kid", as made famous by War. 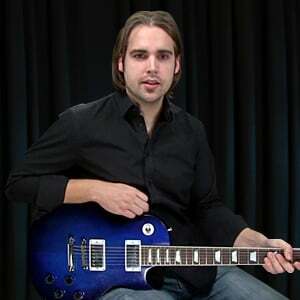 Joel will give a song overview and talk about the funk tone before he digs into the opening lick. Then it's on to the main wah-based part and the chorus; we'll follow up with some bonus lessons on the theme licks in the tune. We'll cap it all off with a play along performance, then a jam along.